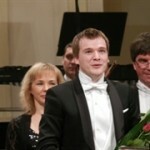 Andres Mustonen and The Estonian National Symphony Orchestra perform Schinittke’s Cello Concerto with Natalia Gutman and Beethoven’s Symphony No. 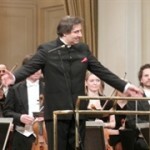 3 Eroica on Nov. 16 at Estonia Concert Hall. 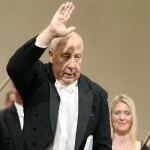 On June 7, world-renowned Estonian conductor Neeme Järvi will turn 75. 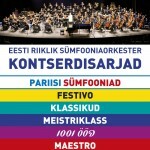 Estonia’s only major classical radio station Klassikaraadio is celebrating with the Maestro. Concert Series 2012/2013 NOW ON SALE! 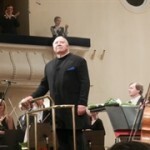 The finale of the National Symphony’s 85th season is also a time to look ahead to season 86, in which conductor Neeme Järvi will lead the orchestra through various series, each exploring a theme. “Passacaglia.” Indrek Vau (trumpet) and the Estonian National Symphony Orchestra (ERSO) at the Estonia Concert Hall, April 13. ERSO’s March 23 performance at Estonia Concert Hall, featuring four premieres, was everything but traditional. ERSO brought a diverse program to concertgoers on Friday night; two Russian giants of modernism and a German romantic turned Finnish innovator. 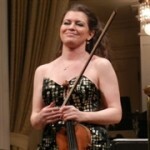 But the real gem was the bravura interpretation of the night’s featured soloist. 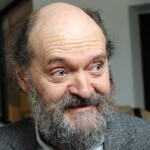 Pärt and Mozart performed by the ERSO and the EPCC on February 10 made for a sublime experience. “Sound of the Fjords.” Ragnhild Hemsing (Hardanger fiddle) and the Estonian National Symphony Orchestra (ERSO) at the Estonia Concert Hall, February 3.